Sabka favourite couple Genelia D'Souza and Riteish Deshmukh took the top spot on trends list, when they posted adorable anniversary messages for each other on social media. 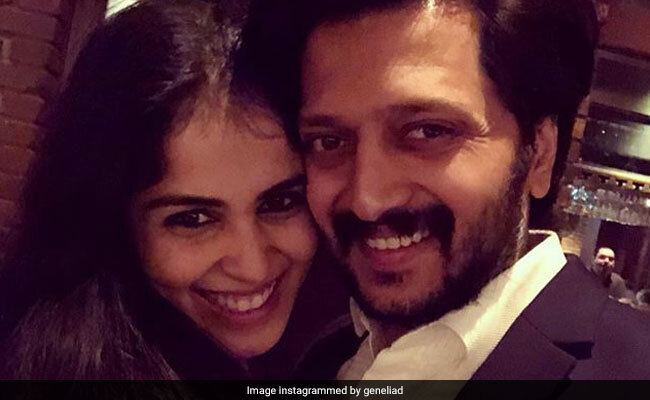 Genelia shared a heartwarming photo featuring herself and husband Riteish and the big day was made even more special with a sweet message from Genelia for her husband. Sometimes just sometimes in our ordinary, mundane, boring lives GOD gives us a fairytale and that fairytale for me is our story.. Happy Anniversary to the man who still makes me fall in love with him every day.. 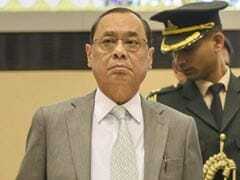 I Love You," Genelia captioned the photo. Just too cute, aren't they? Riteish also posted a photo with Genelia kissing him on the cheeks and in his caption highlighted that 'life is good because Genelia is in it.' This will definitely give you couple goals. Genelia, 30, and Riteish,39, married in 2012 after dating for over eight years - the star couple are parents to two children - sons Riaan and Rahyl Deshmukh. Riteish and Genelia never fail to elate their fans and keep posting adorable pictures on social media. Recently, Riteish posted this photo and welcomed the New Year with Genelia. I hope I am doing exactly the same thing I did in my past life to have deserved you. Coz I definitely want you in my next. Thank you @geneliad for the unconditional love.For making moments count. For making life special. For just being you. Love you Baiko. Riteish Deshmukh and Genelia D'Souza have co-starred in films such as Tujhe Meri Kasam, Masti and Tere Naal Love Ho Gaya. Riteish married Genelia in traditional Maharastrian style followed by a church wedding in February 2012. Riteish was last seen in Y-Films' Bank Chor, co-starring Vivek Oberoi and Rhea Chakraborty. His upcoming films are Total Dhamaal and Marathi film Mauli. Genelia was last seen in 2012's Tere Naal Love Ho Gaya with Riteish and she featured in cameo roles in Jai Ho and Force 2 and also her husband's Marathi film Lai Bhaari.